The horse industry is notoriously small and insular, and horse people just love to talk. But sometimes, gossip is more than just annoying and hurtful – it can be legally actionable. 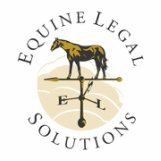 In this series of articles, Equine Legal Solutions discusses what is (and is not) defamation, and answers questions about sharing negative information.